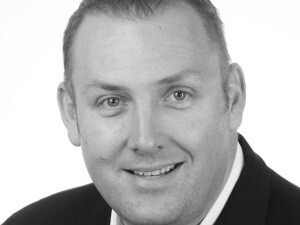 Guy Jelley: Customer experience is the secret to PMO's success. Does the growing focus on customer experience management (CX) have any place in an effective and efficient project management office (PMO)? Isn't the role of the PMO to focus on the project process so as to deliver a project successfully - on time and within budget? These were some of the questions Guy Jelley, CEO of online project portfolio management (PPM) application provider Project Portfolio Office (PPO), posed to delegates attending the latest PMO Forum. Held in Johannesburg, the PMO Forum is a special interest group for PMO leaders and executives, which is endorsed by Project Management South Africa and sponsored by PPO. Jelley pointed out that customer service and customer experience is seldom considered as part of the mandate of traditional PMOs, with customer relationship management (CRM and CX) more often associated with sales and marketing teams than with project management offices. However, he noted that while 90% of large enterprises have active project management offices, around half close down within three years - only to be resurrected a few years later at huge effort and cost. "In my view, the success of a project management office today relies not on better adherence to governance and methodologies, but the ability to demonstrate value, establish trust and build relationships with their internal and external customers," he said. With growing customer expectations, businesses are stepping up their CX initiatives with the aim of achieving a strategic advantage over their competitors, he said. Why should it be any different for a project management office? "The PMO may not need to get knee-deep in customer relationship management, but it does need to build trust and credibility with their stakeholders and focus on customer experience, which will become the secret to their success," he added. According to Jelley, there are three critical requirements for the establishment of a customer-focused PMO that delivers a great customer experience. 1. Employ the right people - project managers, business analysts and project office support staff who are collaborative, responsive and put the customer (both internal and external) in the centre of everything they do. If you can't employ new people or find the right people to employ, train those you already have to change their mindset. 2. Ensure the process doesn't kill the experience. Too many project management offices are so focused on enforcing the project process, that they often lose sight of the fact that the process is just an enabler to ultimately deliver projects successfully. 3. Measure the right things (the things that matter) at the right time as the project progresses rather than just complete a tick-box "lessons learned" exercise formality at the end of the project. PMOs should measure customer satisfaction throughout the process. "Adopting this mind-set is a journey. Better managing the relationships between the project management office team and PMO stakeholders will naturally keep everyone more engaged and determined to achieve a successful project. This shift will not happen overnight, chances are you'll falter and fall back into the project tick box mind-set when overwhelmed and under pressure. Don't give up! Consider the alternative - another PMO closed within three years," Jelley concluded.